Hillsborough County Woman Jailed After Attacking Deputies. 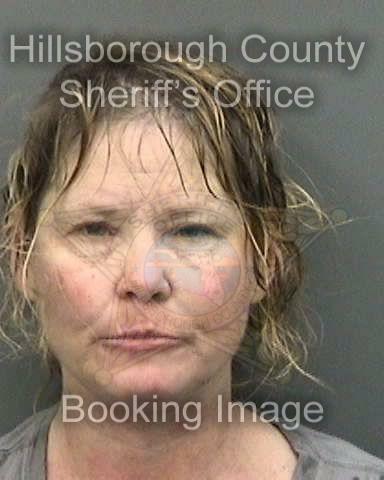 A woman from Hillsborough County is in jail today on multiple charges after attacking deputies. The arrest came early Sunday when deputies arrived at the home of Tracy Lynn Hawley-50, located at 11267 Creek Haven drive in Riverview to perform a well check on her. According to police reports, Hawley then armed herself with a knife, locked herself in a bathroom, and threatened to kill police if they tried to disarm her. When deputies gained entry to the bathroom, Hawley sprayed a household cleaner at the deputies, cut one on the finger with the knife and kicked another. Hawley was charged with aggravated battery on a law enforcement office, battery on a law enforcement officer, aggravated assault on a law enforcement officer, and obstructing an officer with violence. She was taken to the Hillsborough County jail where she is being held on a $26,500 bond.